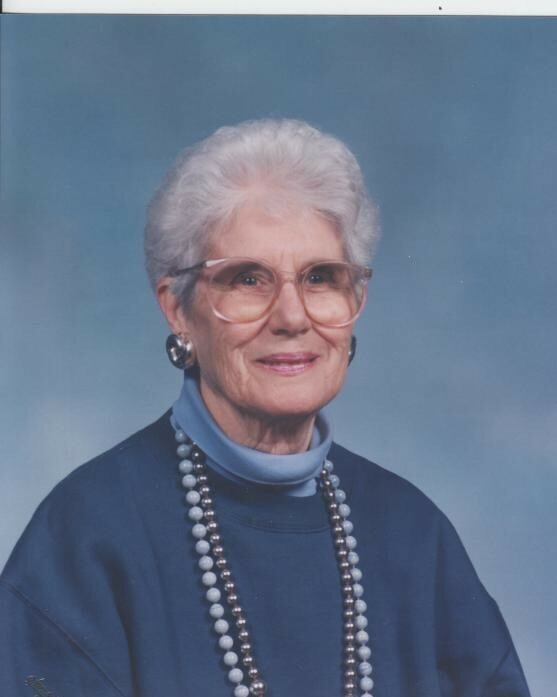 Florence Theresa Garafola (nee Salvato), 96, died in her sleep at her home in Alexandria, Virginia on January 26, 2019. Florence was born in Oakland CA in 1922 and grew up during the depression. 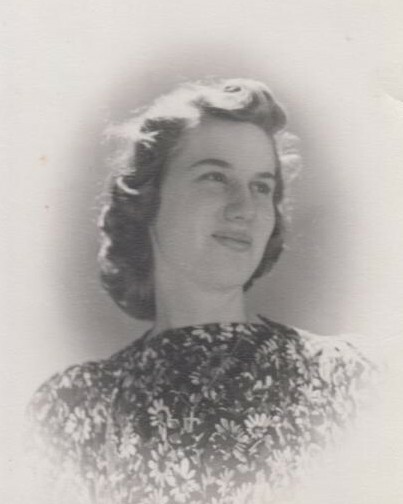 She graduated from High School in 1940 and attended business classes, working as a secretary in San Francisco briefly before meeting Joseph Garafola and marrying him in 1945. They moved to Virginia in 1953, where Joe worked as an engineer in the defense industry. She and Joe were long-time residents of Hollin Hills, where they raised their five children: David, Jeffrey, Peter, Susan, and Steven. Florence was a lifelong Catholic, attending masses at St. Louis Church in Groveton for many years. In addition to a mother and homemaker, Florence was a fashion designer, seamstress, knitter, and crafter. She created her own clothing line starting with simple wrap skirts, and from there expanded to tops, skirts, culottes, and other hostess wear. Flo did everything - selecting fabrics, creating the designs, sewing, showing, and selling her work. She eventually sold clothes to 15 businesses on the East Coast, including shops in Alexandria, Middleburg, Leesburg, and Georgetown. She loved opera and liked nothing better than to spend an afternoon working on a dress while listening to La Traviata. Flo was also an accomplished jeweler, a pursuit she took up after working part-time in a local jewelry shop. She created designs using a variety of materials, including sterling silver, semi-precious stones, gold, wood, pottery, brass, and antique beads. She sold her jewelry work at craft fairs and through local shops. She also collected and sold antiques, having a sharp eye for value and a unique ability to see the potential in an old piece of furniture. She had in her home numerous pieces she had rescued from yard sales and estate sales, which turned out to be beautiful after a little restoration. Florence and Joe loved to spend time together at their weekend house on the Chesapeake Bay near Cambridge Maryland where Joe pursued his love of fishing with their son David, and Florence would sew and make jewelry. They also had a vacation cabin in Maine on Cathance Lake, which they faithfully visited every summer for a number of years. Both Florence and Joe’s parents immigrated to the United States from Italy during the early 1900’s. She and Joe travelled to Italy several times, visiting major cities and tourist destinations as well as the placers their families had come from. Her favorite city was Florence, but she also loved Rome and the Tuscan countryside. In 2013, Florence and Joe moved to The Fountains at Washington House in Alexandra, where she continued her sewing and craft work and made many friends. Joseph, her husband of 69 years, passed away in 2014. Florence is survived by two of her children: Susan Stamm of Silver Spring, Maryland, and Peter Garafola of Alexandria Virginia, as well as three daughters-in-law, a son-in law, and five grandchildren: Lauren and Michael Stamm, Karesa Anderson, and Kathryn and Joey Garafola.